They’ve traded soooo much to bring in a handful of stars. The depth of talent across the field is negligible, the age of their list becoming comical. This is the year that strategy will bite them. The best part of this strategy is it secured us Mozzie. 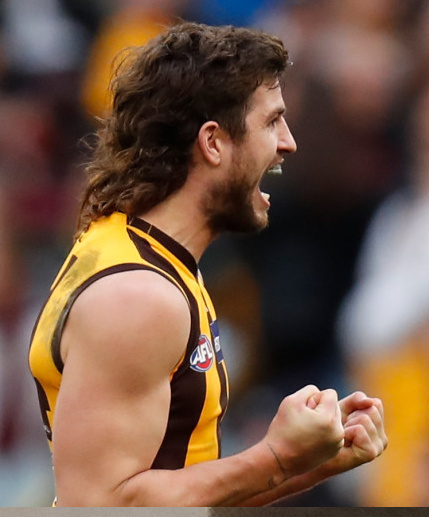 Exciting young player and we get to watch Hawthorn crumble. Bring on season 2019! Hawthorn are the team at the pointy end of the hate pyramid for me. Always have been. Patiently waiting for a sustained period of retribution to arrive. So, did he get rid of the mullett? Certainly looking that way. 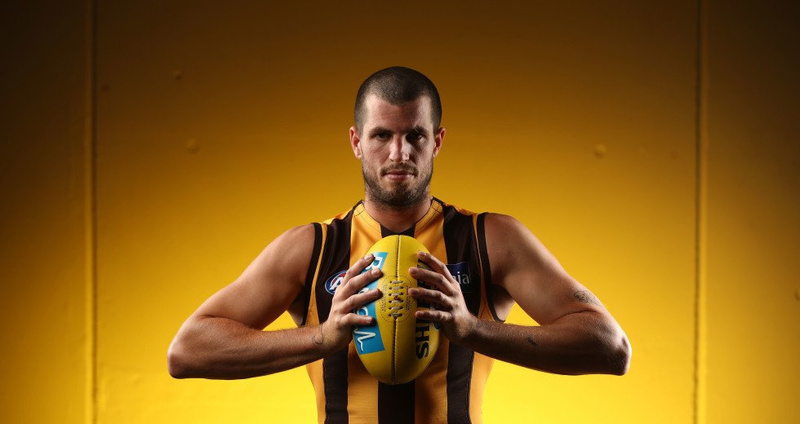 Excellent player but like a turd, Hawthorn are on the way down. A new captain with a new polished hairdo can’t change that. I think he cut it for charity? Anyway i rate the fella. Surprised by the captaincy though. I doubt may at Hawthorn would be surprised. From what I gather he was rated highly in his leadership internally or at least by Dawks supporters. How they got a guy who was the best wingman in the game the year prior, for a pick in the 60’s or whatever it was, is beyond belief. They really just do as they please this mob. Throw in them getting a guy who was pick 7 in McGrath’s draft only two frigging years ago for an exchange of 3rd and 4th round picks and the mind boggles further. Their original offer was a lot higher. After the medical it dropped to a fourth rounder. They also had to absorb his big salary. If you’re paying huge dollars for a bloke with a cooked ankle that depends on speed and agility for his game style, it’s a massive risk. And one i’m glad we didn’t pursue. Scrimshaw is a little more interesting. The kid barracks for Hawthorn his whole life, gets drafted with pick 7 to Gold Coast, puts in ZERO effort for a couple of years and then gets traded to his preferred club for a bag of chips. How they got a guy who was the best wingman in the game the year prior, for a pick in the 60’s or whatever it was, is beyond belief. Don’t worry about the part-time Tasmanians. Stick a fork in them, they’re done. Tom Scully to make his return in the VFL This week. Fark annoys me GWS let hawks get him for a bag of chips. Just so they could get more out of us for shiel. Still wish we added setterfield or Scully as well as shiel given what we had to part with. I wish we had of got Setterfield and Shiel, Setterfield is exactly what we needed. Ok so in the absence of another thread to cover this issue, I am amazed there have been zero questions targeted towards this club and their medical department. There have been a number of examples where players at other clubs have significant medical issues threatening their careers. All of a sudden these players are healed. Me thinks there are some dodgy goings on happening down at Hawthorn HQ. I don’t begrudge those players having their careers extended but no-one seems to bat an eyelid. Not sure if serious but you may have missed the part 5 or 6 seasons where baseless accusations ripped the heart out of our club and destroyed the reputations of some amazing people. Cool, how do we do that to Hawthorn and their people? He’s not returning to VFL, he’s playing in the seniors. How the hell did hawks manage that?! GWS bent us over but let Scully go for a 4th rounder! The mind boggles. You are missing the bit where Hawthorn agreed to his very large contract. If they had kept him their books would be very tight but lose him and lose his very large contract means that now they can throw a lot of money at Coniglio. He is by far a better option than trying to retain a player who may or may not come good again but isn’t the reason they played well.